"Biodh fiosrachadh chlàr na croitearachd ceart"
Tha Coimisean na Croitearachd ag iarraidh air croitearan dèanamh cinnteach gu bheil am fiosrachadh mun deidhinn, a th' air a' chlàr ùr, ceart. Tha seo a' tighinn 's an Coimisean air clàr fhoillseachadh de na croitean air feadh na Gàidhealteachd 's nan Eilean. 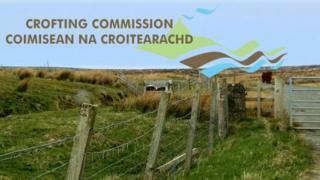 Tha 20,500 croit ann, le 5,000 dhiubh sin far a bheil na croitearan air a' chroit a cheannach. "Cho fad 's is aithne dhan Choimisean, a h-uile càil a tha iad a' cur a-mach, 's e fiosrachadh a tha iad fhèin air fhaighinn bho na croitearan, bho na h-uachdarain - 's dòcha bhon Riaghaltas," thuirt Iain MacÌomhair, a tha na bhall de Bhòrd Stiùiridh a' Choimisein. "Agus mar sin dheth, tha seo air a chur ri chèile, agus 's e am bun-stèidh a th' aig an fhiosrachadh a bh' aig a' Choimisean, agus tha an Coimisean a' moladh do dhaoine coimhead ri seo, agus ma chì iad gu bheil càil sam bith ceàrr, no nach eil iad riaraichte gu bheil am fiosrachadh co-cheangailte riutha fhèin ceart, mar as luaithe a gheibh iad sin air ais chun a' Choimisein gun tèid coimhead a-steach ann agus rud sam bith a tha ceàrr a cheartachadh 's ann as fheàrr a bhios am fiosrachadh air fad," thuirt e.